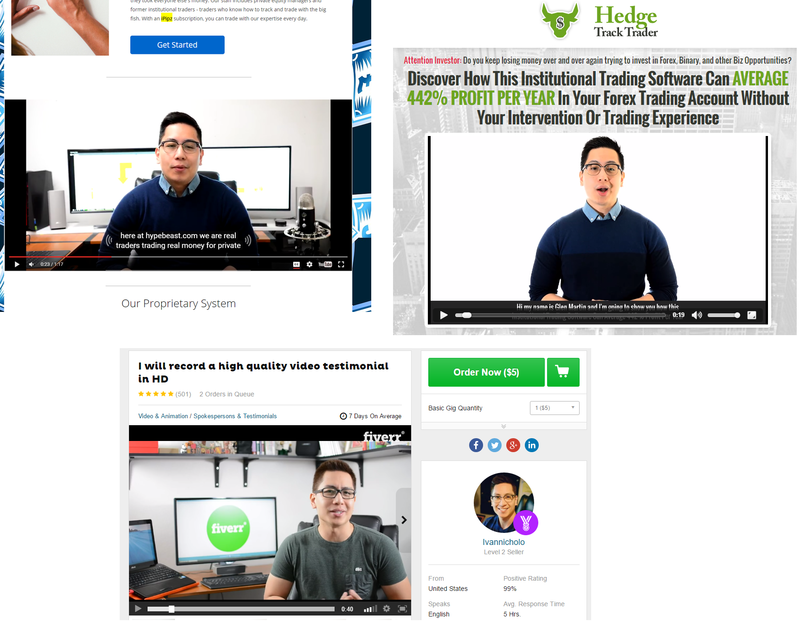 In this article we review two scams at a time: „iPipz Signals“ and „Hedge Track Trader“. We first started by looking at iPipz Signals, but then we saw that it has a thing in common with Hedge Tracker, the alleged chief trader Glen Martin. iPipz Signals is a provider of trading signals not only for binary options, but for Forex as well. 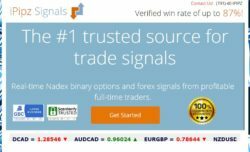 Hedge Track Trader is allegedly an institutional trading software for Forex. Both are of course promising you profits. But you can also find him in the Hedge Track Trader video where he call himself Glen Martin. He is signed under this software too. 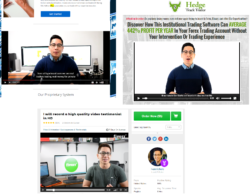 But in reality he is not a professional trader, he is a Fiverr actor, his real name is Ivan Nicholo and this is not the first time we see him in a scam, he also endorsed the Safe Cash scam. So basically a professional scammer. iPipz Signals also shows some testimonials. But they are fake too. 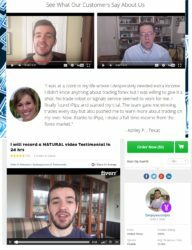 Fiverr actors and well known binary options scammers again. These faces are very well known. Look at the picture, this guy is endorsing tons of scams, lately we’ve seen him in the 300 Millionaire scam for example. 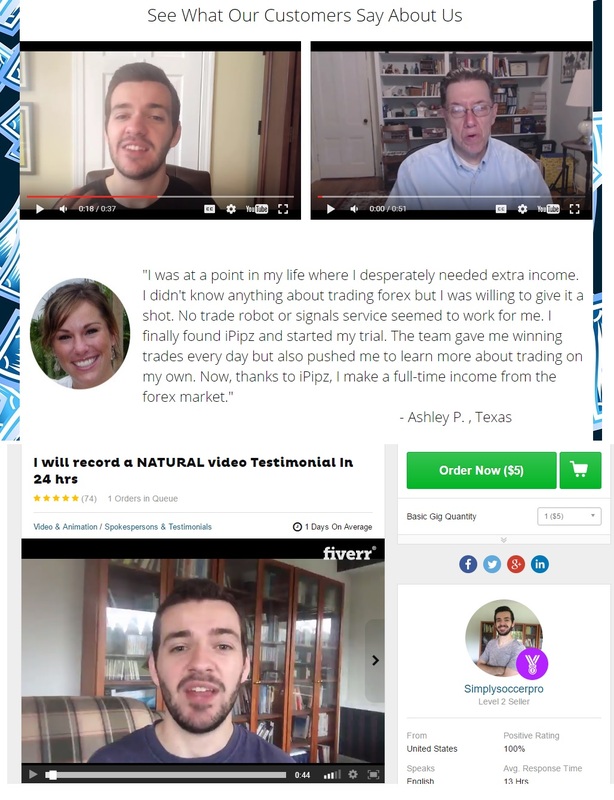 So these testimonials are completely fictional, these are not real users of the trading system. 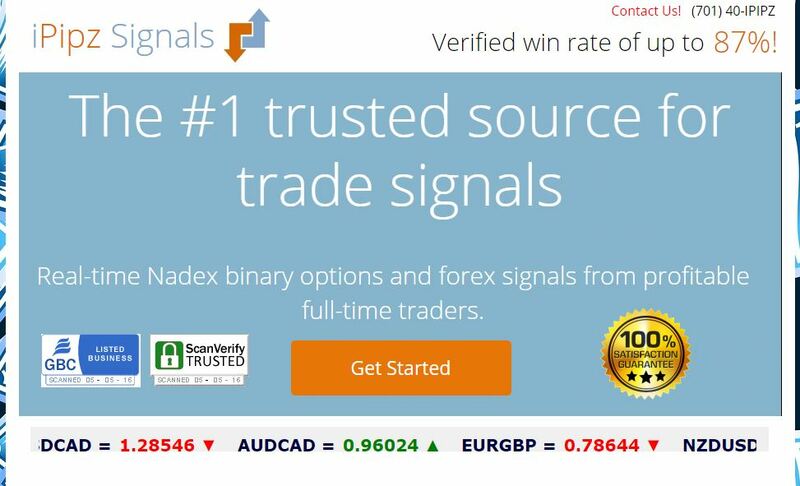 Under iPipz Signals and Hedge Track Trader we see famous scammers, so both programs are scams, although they are paid. As you can see, scams don’t have to be free. Every honest trading system should be available for a trial on a true demo account where you can verify how it really works.